Diagram Q. Player curls around cones with 2 ball dribble and passes one ball to coach after curl and scores with the other. 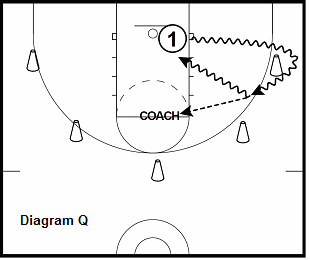 Player does not lose dribble of other ball when passing to coach. Put time limit and scoring goal on drill. 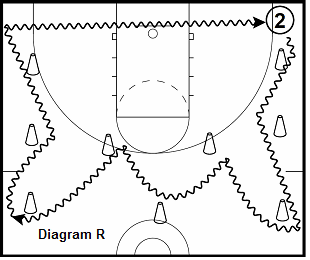 Diagram R. Players make multiple one dribble to change of direction moves through cones. More than 3 cones can be placed on the side line. 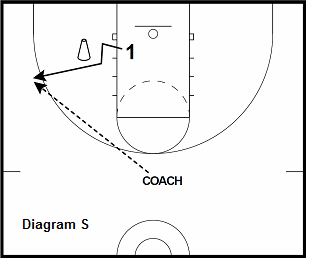 Diagram S. Player sets up defender with fake and runs into screen. 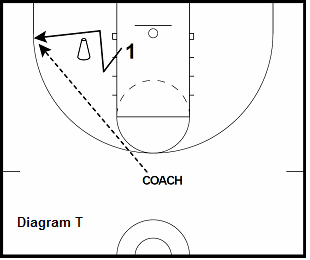 Diagram T. Player sets up defender with fake and runs into screen. Diagram U. Coach alterantes driving baseline and middle. 1 rotates into postion for catch and score. 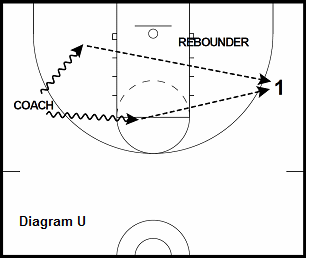 Rebounder helps to keep drill up tempo. 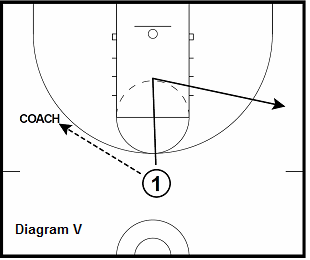 Diagram V. Player passes and cuts to weak side. 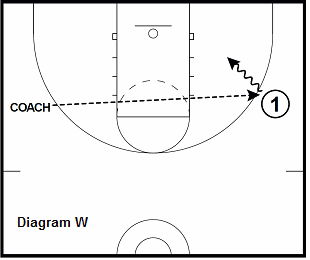 Coach sends skip pass (diagram W) to player who attacks with rip series.